One of the best things about good is being able to instantly research anything and everything. 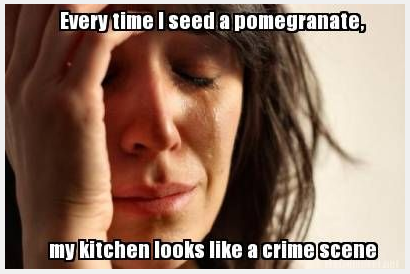 So when pomegranates came back in season I went on a little research binge. I found out that they have some absolutely amazing benefits! They have been studied and proven to help with aging and certain cancers. They are crazy oxidant rich (yes, very scientific ^_~), help to reduce inflammation, reduce blood pressure, and so much more! I really liked the info on AuthorityNutrition where they go through some of the proven benefits. 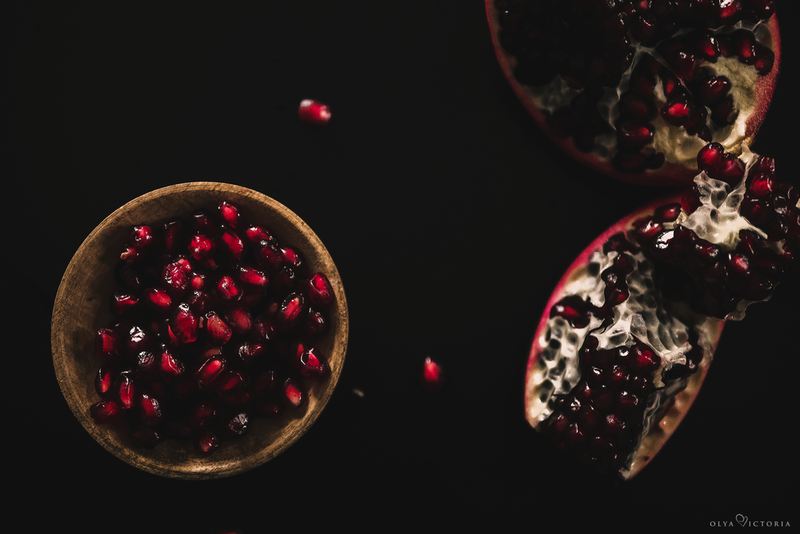 My google(ing) lead me to further discover that pom's are one of the world oldest fruits. 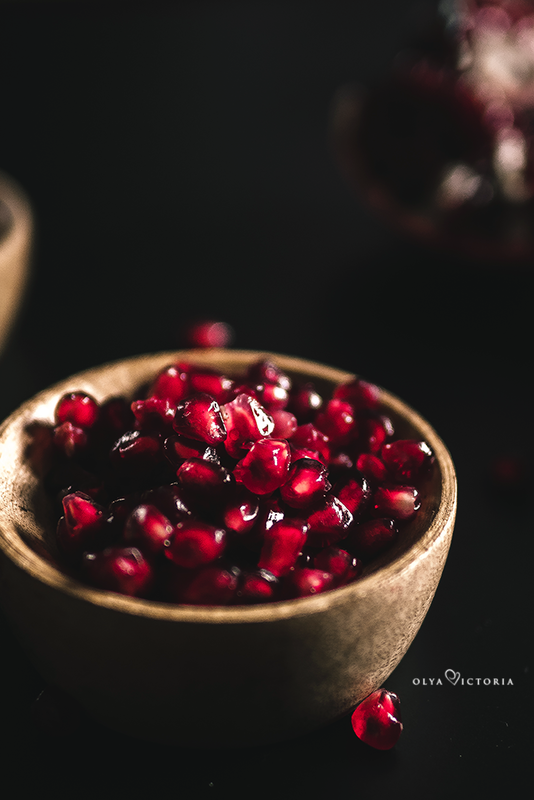 There is evidence of pomegranates all the way back to the Bronze Age, 3000BC. It's really had a lot of time to work on itself. They are also one of the most annoying and exhausting fruits to eat. Not to mention the red gets everywhere. Although I did manage to discover that there is a way to open them that makes it somewhat less painful.